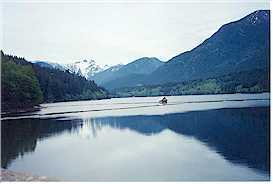 About 40 per cent of Vancouver's water supply comes from the Capilano Watershed (the 3.5 mile lake behind the Cleveland Dam - North Vancouver). 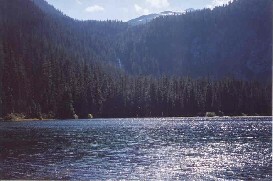 To safeguard our drinking water, this pristine area is off limits to the general public. During the summer months only, public bus tours are available on a first come, first served basis (they quickly book up). Each tour takes 4 hours. 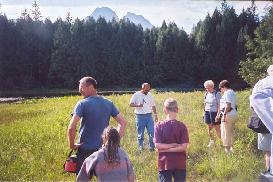 Tours take place Thursday through Sunday at 8:00 am and 12:30 pm from June until September. FREE. Learning about the bog features of "little Capilano Lake"